DESCRIPTION: The Victoria Park website was designed by REDdot Marketing and developed by PTC Computer Solutions. Conveniently located 20 minutes from New Smyrna Beach and 30 minutes from Orlando, Victoria Park is a master-planned community marked with a sense of warmth and comfort. Here, you are met with a variety of neighborhoods, all situated among parks, lakes, natural conservation areas, walking and bike paths. 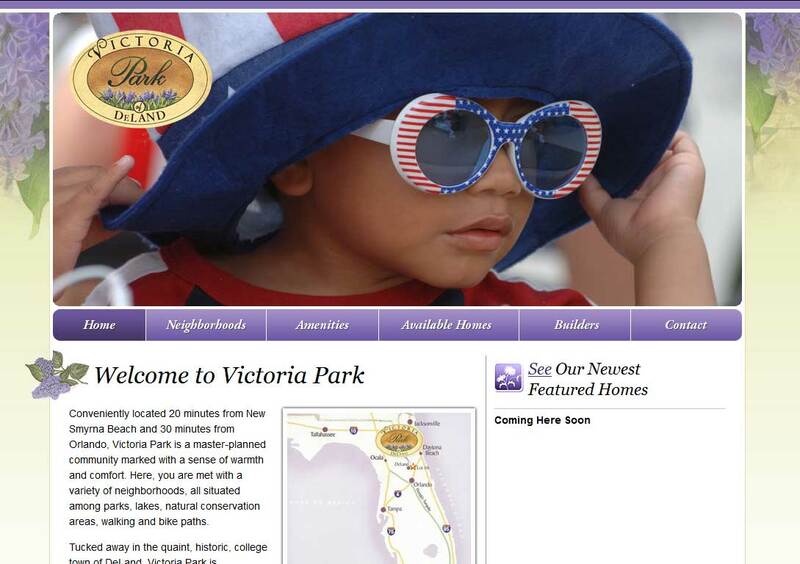 You can find out more by going directly to their personal website, www.victoriaparkflorida.com, or contact them directly at info@victoriaparkflorida.com or 888.476.3017.